← There are no private thoughts! An amateur astronomer has captured stunning pictures of the Perseid meteor shower this morning (Tues) which peaked with up to 60 shooting stars an hour in the UK. Graeme Whipps, 49, watched the meteor shower against the dark skies of Aberdeenshire in Scotland and was treated to an amazing display. “The meteors were coming in bursts of four or five at a time, it looked spectacular,” said Graeme, who took the pictures in the early hours of the morning at Chapel of Garioch, near Aberdeen in Northern Scotland. 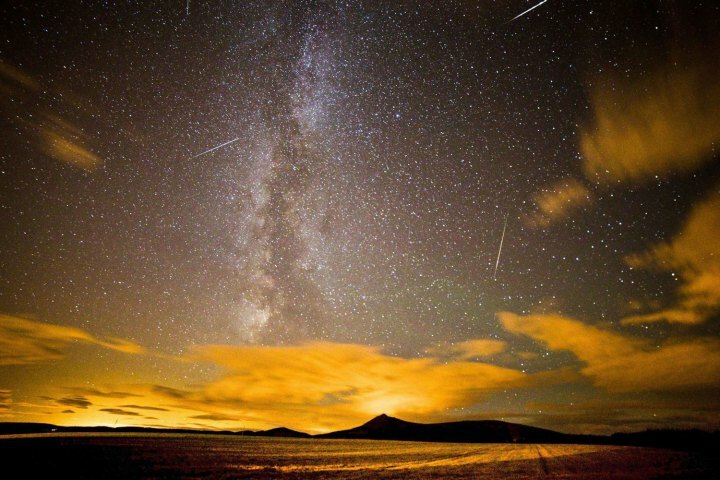 Each year the meteor shower is active between July 17 and August 24 as the Earth’s orbit around the Sun passes through the cosmic trailing from the tail of Comet Swift-Tuttle, which last passed through our vicinity in 1992. This year conditions have been particularly good for viewing it and for the last two nights the bright streaks of light have flashed through the sky at a rate of around one a minute.